Ethiopia has recorded one of the highest asylum seeking moves by a government official. 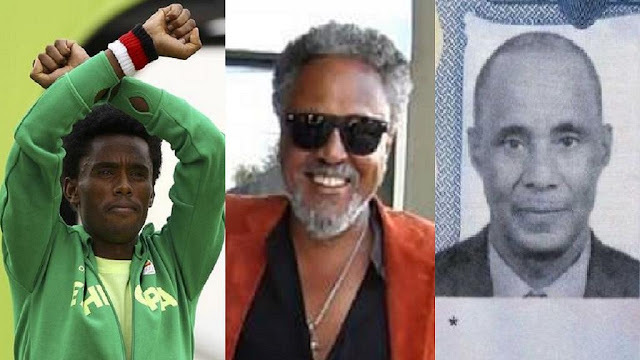 But before Baye Tadesse Teferi – a top official close to the Prime Minister, there were two other major asylum seeking instances. One of the most publicized being that of Feyisa Lilesa, the long distance runner who took the anti-government gesture to the Rio Olympics. He was shortly followed by one of the country’s biggest television stars. The similarity for all three personalities being: they all openly stated fleeing political persecution and all headed to the same destination, the United States. Baye Tadesse Teferi, was part of the Ethiopia’s official delegation to the United Nations General Assembly (UNGA) in New York weeks ago. The Ethiopian delegation has since returned to Addis Ababa but he remains in the U.S. He confirmed to the Voice of America’s Amharic service that for political reasons he had opted to seek asylum in the United States. The Protocol Chief of Prime Minister Hailemariam Desalegn thus quits after serving over two years with the government. Ethiopia’s economic successes have long been eclipsed by what political and rights watchers call a systemic and institutionalized crackdown on media and political dissent. The East African nation has been severally called upon to open their political space and to tolerate dissenting political views. Feyisa Lilesa, left Addis Ababa with the country’s Olympic team for Rio 2016 games Brazil but little did anyone suspect he will make name more for a protest sign than his action on the tracks. The long distance athlete became famous after he made an anti-government gesture at the end of his track event. He crossed his arms above his head as he finished the event as a protest against the Ethiopian government’s crackdown on political dissent. He won the silver medal in the men’s marathon after finishing the 42 kilometer race. He later claimed that his life was in danger. He sought for and was granted asylum in the United States and has been living there since leaving Rio. He has often left to participate in marathons across the world. His family at the time said they supported his asylum move. His wive and two kids were subsequently allowed to join him in the U.S. Barely a month after Lilesa’s episode, popular Ethiopian actor, Znah-Bzu Tsegaye, told VOA Amharic service that he had sought asylum in the U.S. after leaving the country in July 2016. At the time, Tsegaye – who is from the Amhara region, said his decision to go into exile was linked with the heavy security crackdown on anti-government protesters in the Amhara and Oromia regions. In an interview with the VOA’s Amharic service, he chastised the security forces for carrying out “atrocious actions” and disclosed that until the regime is changed, he will not return home. “It is sad to respond with bullets to people’s demand for their rights,” he said. Tsegaye is a screen star in Ethiopia having featured in popular films and soap operas. Local media reports that he is a household name in the country’s entertainment circles.